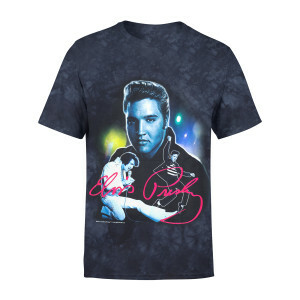 Blue T-shirt featuring three photos of Elvis. Very nice shirt. It is not a big Large. I love it.